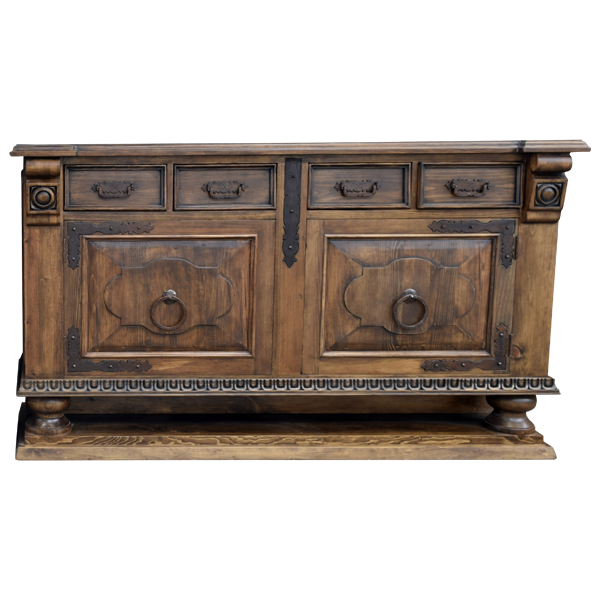 With its beautiful, antique finish and hand forged iron details, this handcrafted, Western style credenza will be a wonderful addition to your Western décor. In the front of the credenza are two, large, rectangular cabinet doors, and the face of each cabinet door is adorned with a geometric cut design. Center in each cabinet door is a large, hand forged, iron, pull ring. Inside the cabinet doors is storage space, including shelving. Directly above the cabinet doors are four, spacious, rectangular drawers, and the drawers are divided by a hand forged, iron design. Each drawer has a hand forged, iron handle in its center. 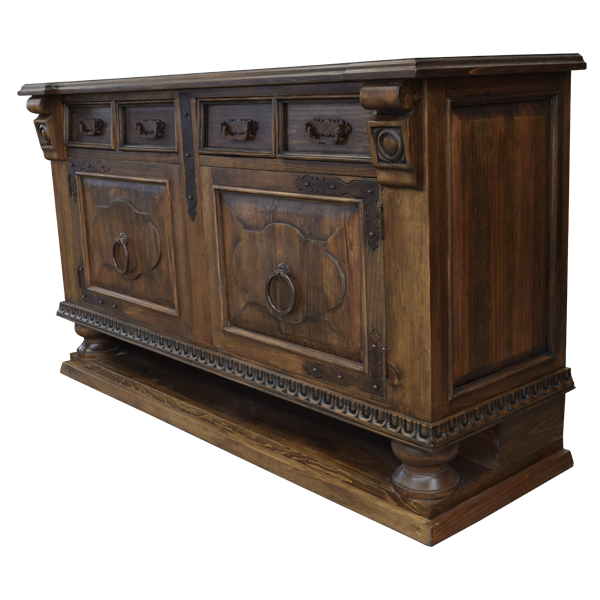 The credenza has a beautiful, antique finish, with a large, open top and a classic, straight top rim. Each side of the credenza is enhanced with a decorative, rectangular cut panel, and the credenza is supported by robust, bun style feet. 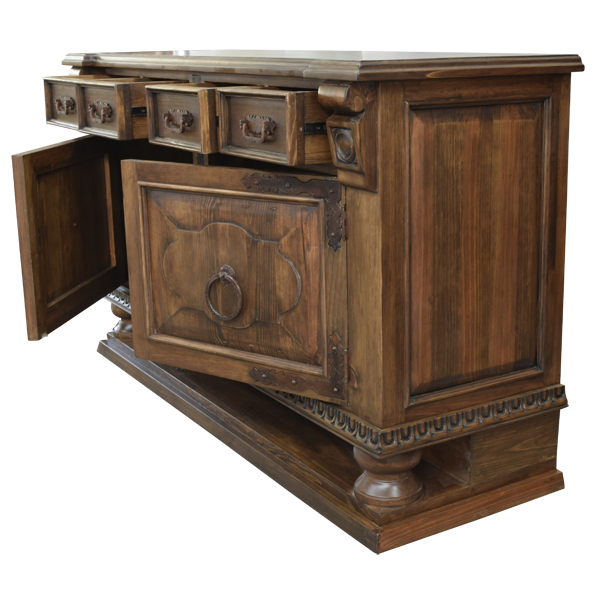 The base has precise, hand carved, geometric designs, and the credenza rest on a solid wood platform. Made with the best, sustainable, solid wood available, the credenza is 100% customizable.